Lanarkshire Boys (pictured abpve) drew 4-4 yesterday with Dumbartonshire Boys at Easter Moffat Golf Club. Conditions were very wet overhead and underfoot due to the persistent rain but the course was in excellent condition. 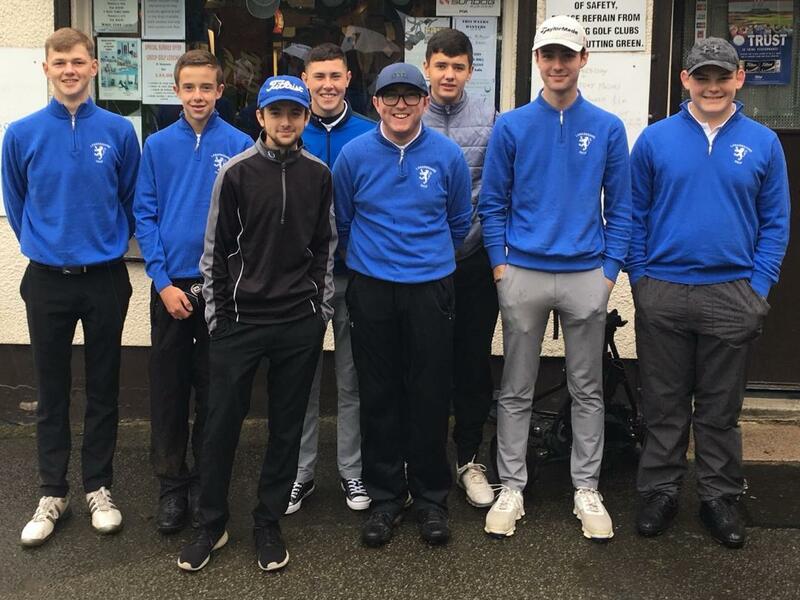 Ayrshire lead the WOS Boys Inter-County league with 8pts from four matches. The final three games are to be played next Sunday. They are: Glasgow v Lanarkshire at Sandyhills, Dumbartonshire v Stirlingshire at Cardross and Ayrshire v Renfrewshire at Brunston Castle.